Toshiba says it determined that the best way to strengthen the business is "to transfer it to Hisense"
In the life of any business, there will be good and tough times. For the Japanese electronics conglomerate, Toshiba, 2017 was quite challenging. To stay afloat, the company is exploring several options, chief of which includes sacrificing its struggling TV business. On Tuesday, the company took the plunge to sell its TV investment to China's Hisense Group. So henceforth, you may never be able to buy a Toshiba TV brand. What you will see in its place is Hisense. Toshiba said in a statement that it agreed with the Chinese group to sell 95% in shares of its unit, Toshiba Visual Solutions, TVS for about 12.9 billion yen ($114 million). "Toshiba has been considering structural reforms that will ... strengthen Toshiba's financial base. 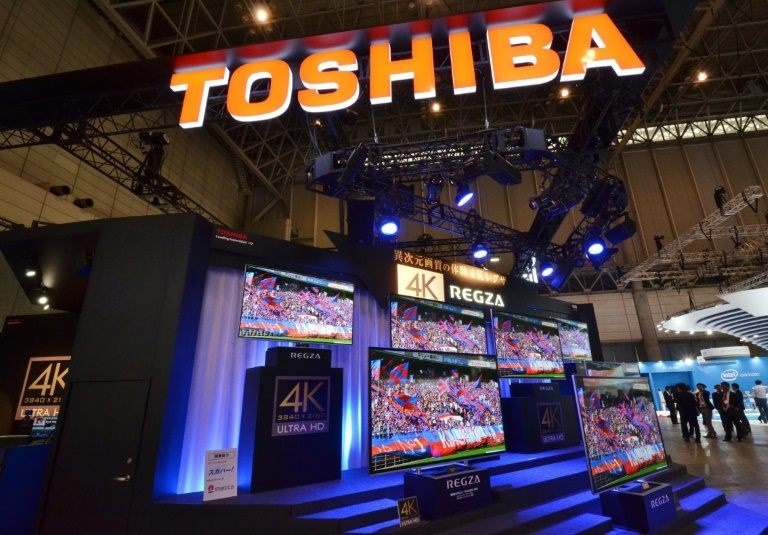 It has become difficult for Toshiba itself to further invest its management resources and execute measures to strengthen the competitiveness of the TV business,” the firm said in the statement. Accordingly, it determined that the best way to strengthen the business is "to transfer it to Hisense". The announcement came days after the Tokyo-based firm said it recorded a net loss of $436 million for the first half of the year - meaning the company spent more money than it generated within the period. It is now banking on selling its chip business, so it can bounce back in other electronics segments.